Andrew L. Pettit holds a Bachelor of Architecture from Pratt Institute. 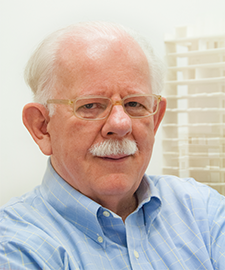 He received his license to Practice Architecture in the State of New York in 1971 and NCARB National Accreditation in December of the same year. He was granted a license in the State of New Jersey in 1973 and in Massachusetts in 1986. He was a member of the New York Society of Architects and served on the Board of Directors for the Society for two years in 1984 and 1985. Since 1988, Mr. Pettit taught at the Pratt Institute as an Adjunct Professor in the undergraduate and graduate levels in the School of Art & Design in the School of Interior Design. 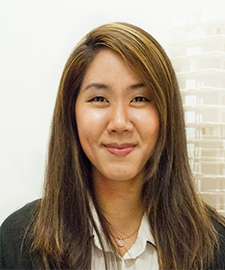 Meejeong Choi graduated from Pratt Institute with honors and began her tenure at Andrew L. Pettit, Architect in 2003, subsequent to her work at Perkins & Will and The Hillier Group where her clients included Pepsi, the New York Stock Exchange, Deloitte & Touche and Merrill Lynch. Her portfolio includes corporate design work (including programming, space planning, design & construction documents). Additionally, she has worked on multiple residential projects, new construction, renovations and commercial projects such as Burger King, Fridays, Postworks, The Lenox Grand condominium and a new location for an international restaurant chain. She leads and organizes the team to design and produce documents, represents the office at job meetings and coordinates drawings with all consultants. 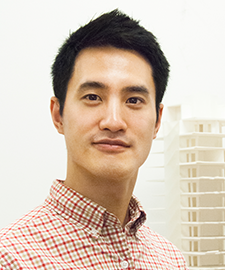 Jong Hwa Lee is a distinguished a Certified Passive House Designer and a member of the New York Passive House organization. He has completed a number of high performance, energy efficient projects in New York, and has worked on a variety of projects in Korea, Haiti, and Peru. Professionally trained at Pratt Institute and Kangwon National University in South Korea, he has received numerous honors and recognition for his designs. Jong Hwa also has interest in sustainable energy, green building design, and smart building. PAKARANG CHOMPRANG, LEED Green Associate, received her Bachelor’s from KMUTT (King Mongkut’s University of Technology Thonburi) in Thailand where she also received her architectural license and her M.S. in Architecture from Pratt Institute with a focus on lighting design and interior design. She was an architectural team member for the design of Bangkok’s Federation International Football Association (FIFA) Futsal Arena. Vasudha Mittal is an Architectural Designer. She has worked on various projects from single family house to mid-rise buildings in New York and India. 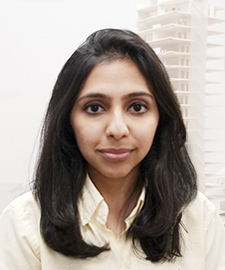 She completed her Bachelors in Architecture from Sushant School of Art and Architecture, India and her Masters of Science in Architecture from Pratt Institute with an ‘Excellence in Academic Achievement’ Award. Vasudha also has professional experience in all stages of design in High-End Residential, Hospitality, Institutional & Urban Design projects. Shijin Ma earned her B.E. in Civil Engineering in Southeast University, China, in 2014. She continued her architectural studies in the US, earning her Master’s in Architecture from the prestigious Pratt Institute. 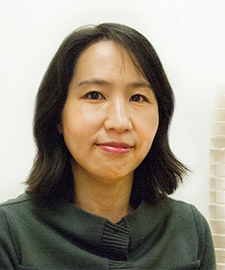 Her outstanding designs have been published five times – some of them in Pratt Institute’s annual design issue, In Process. She is a recipient of the Amy Koe Scholarship and the M.O.& R. Pratt,Junior Scholarship. Her design experience encompasses residential as well as commercial projects, in addition to both landscaping and concrete-steel structure design. 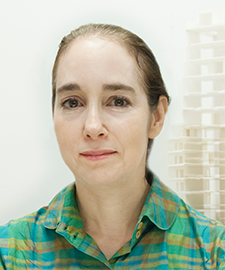 Elly-Anne Ehrman has provided administrative support in the architectural field for over 18 years. She began her career with The Liebman Melting Partnership as an administrative assistant, then office manager transferring to Perkins Eastman. Additionally, she has worked in the areas of investment banking, hospital administration and the r7eal estate industry.